Deep dark green apatite gemstone specimen to add to your earthegy energy rock collection. 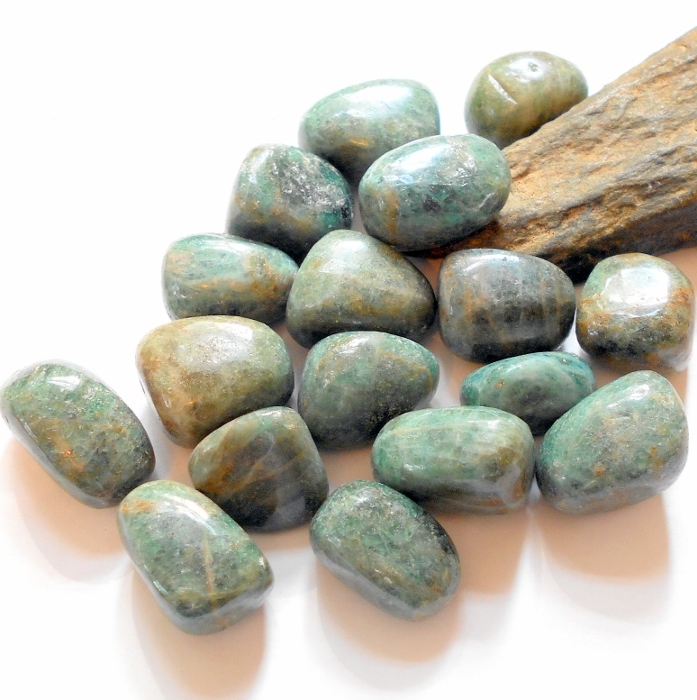 Apatite is a gemstone associated with the wind element. It stimulates inner vision and enhances psychic ability. 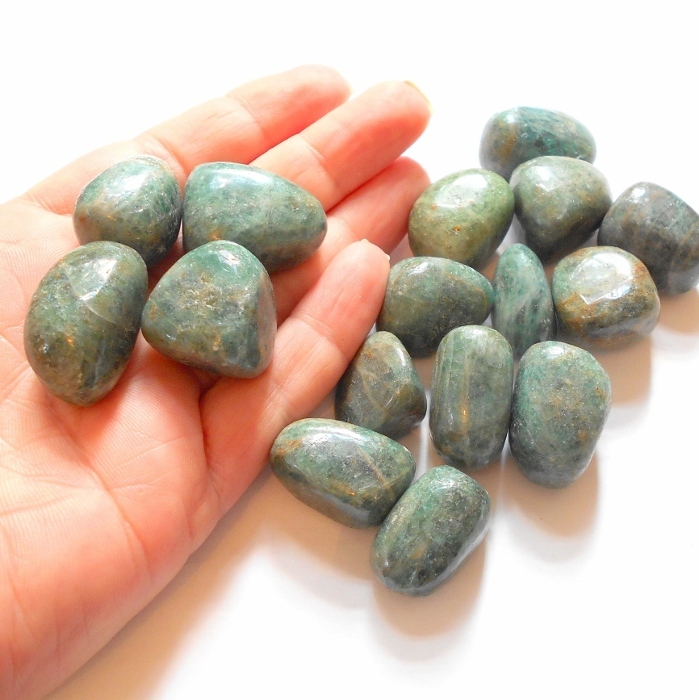 Apatite also soothes headaches and stimulates eyesight. 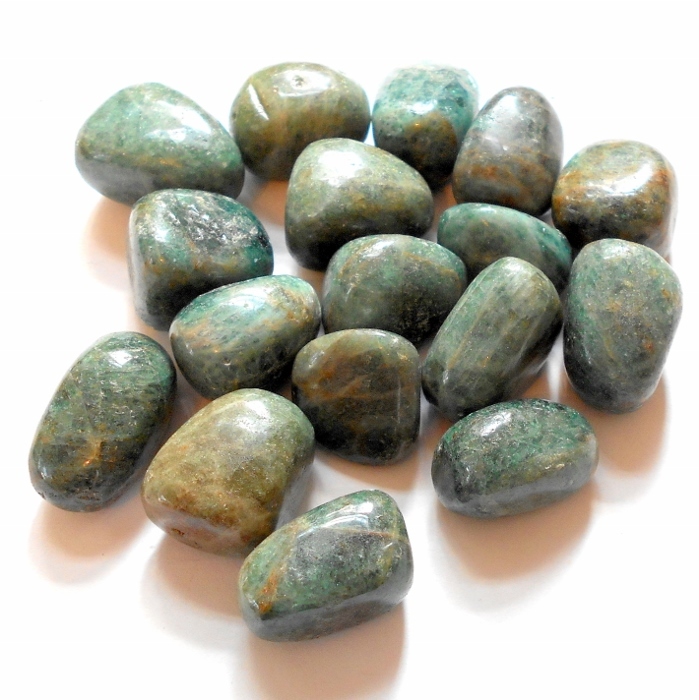 Green apatite gemstones are approximately 3/4 inch to 1 inch each. Price is for one stone.